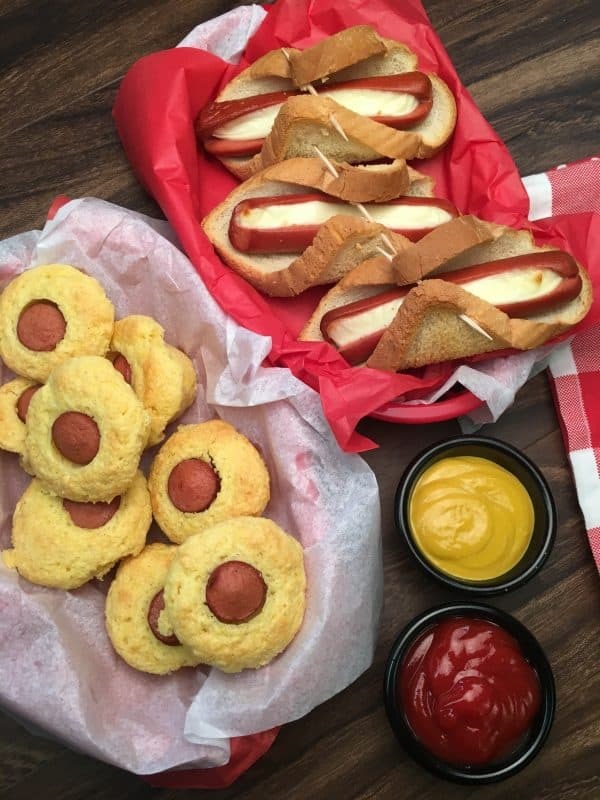 These five hot dog recipes for parties are perfect for feeding a crowd at a budget-friendly price. 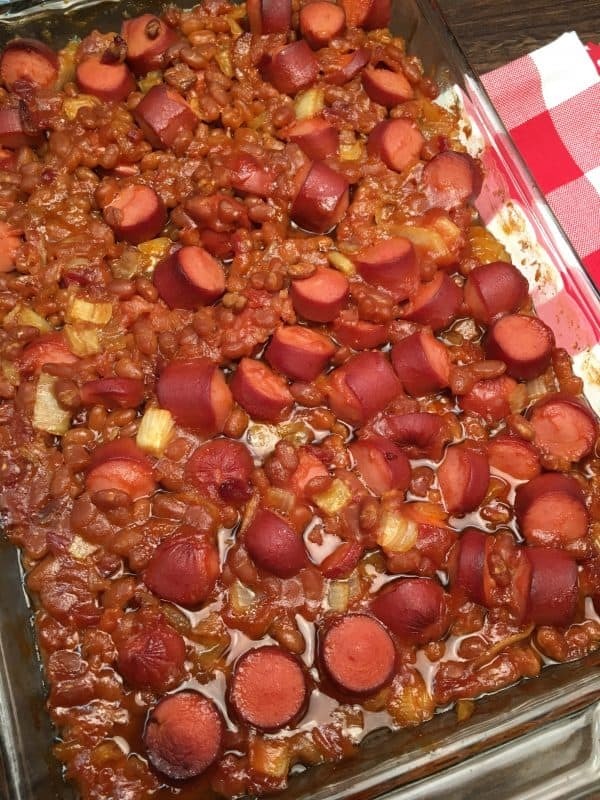 Hot dogs are a great food to add to any party. If you’re looking for budget-friendly ideas, and you want some food that will fill up party guests, you’re in luck. (All of the hot dogs are bought fully cooked. 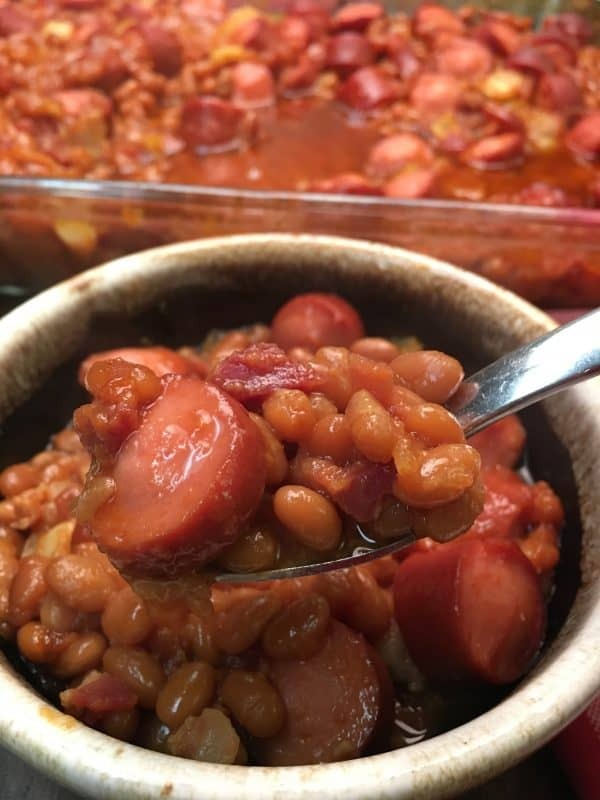 Be sure to read the directions to cook hot dogs to the precise temperature). Spray the muffin pan with nonstick spray. Mix the Jiffy Corn Muffin Mix with one egg and 1/3 cup of milk. 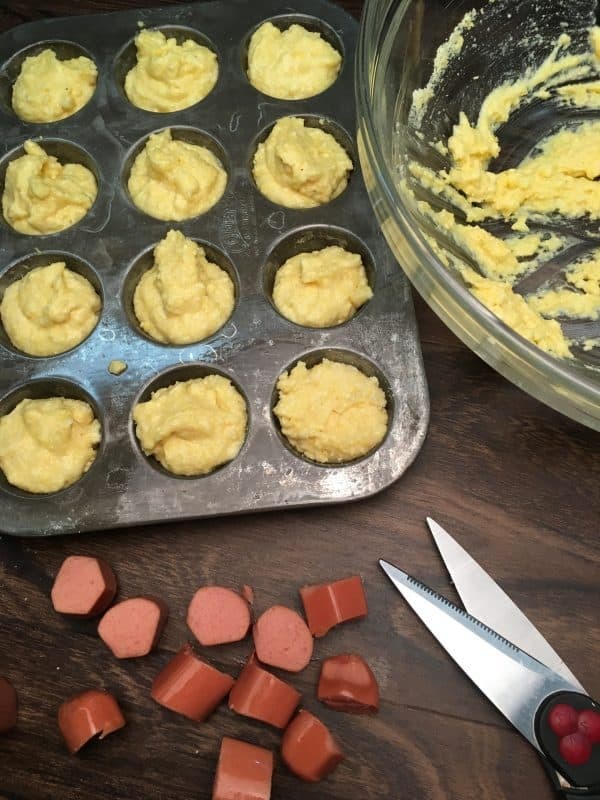 Cut the hot dogs into smaller pieces and place in the center of the muffins. Bake 15-20 minutes on 400-degrees. (This makes approximately 1 dozen small muffins). 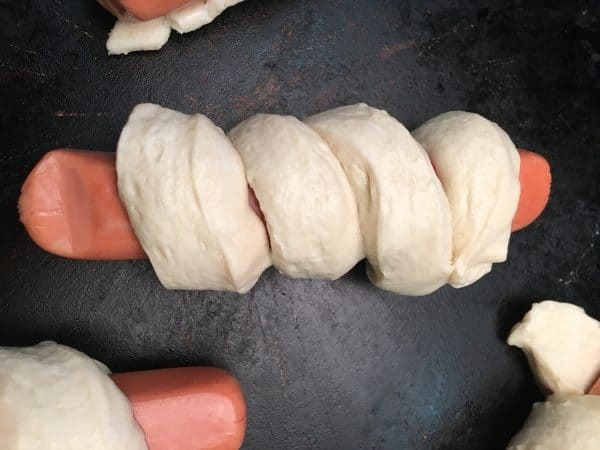 Create a slit down the hot dog, without cutting all of the way through. Cut the mozzarella stick into fourths. Place 1/4 of the mozzarella stick inside the hot dog. 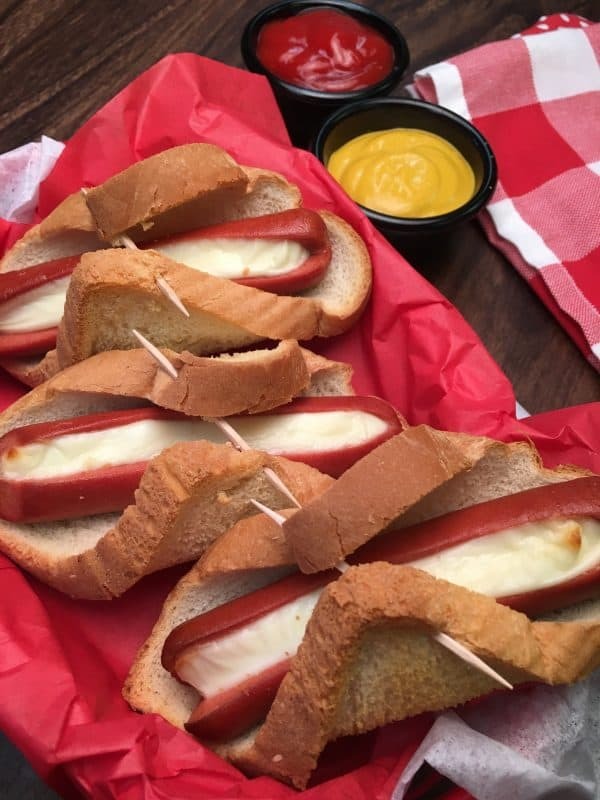 Wrap up the hot dog in the piece of bread and pin together with a toothpick. 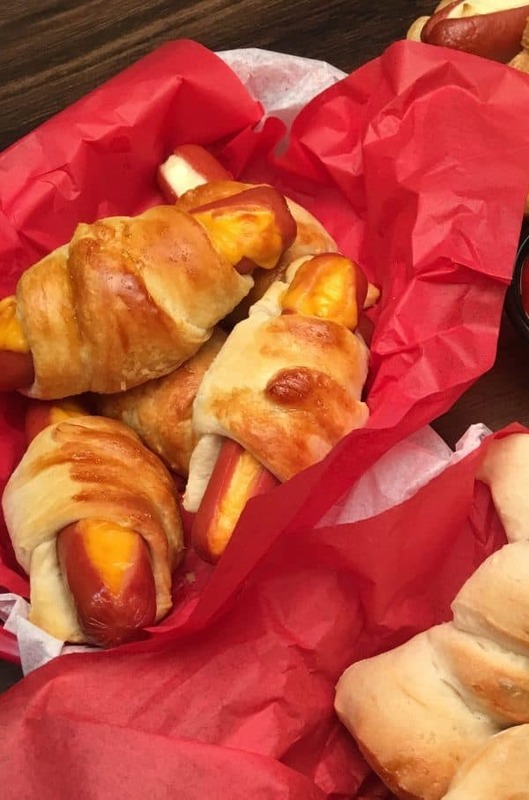 Bake on 350-degrees until cheese is melted and hot dogs are cooked. Roll out the pizza dough. 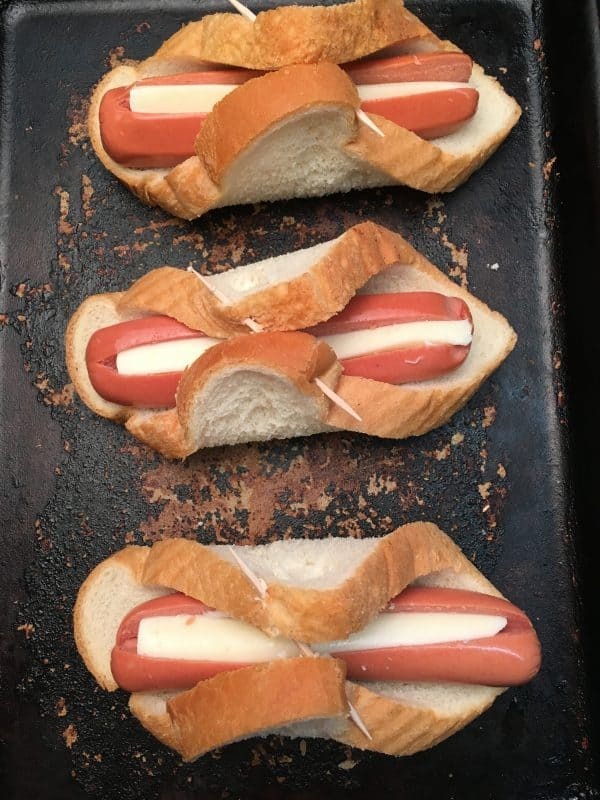 Slice in 1-inch slices and wrap around each hot dog. Brush with egg whites. 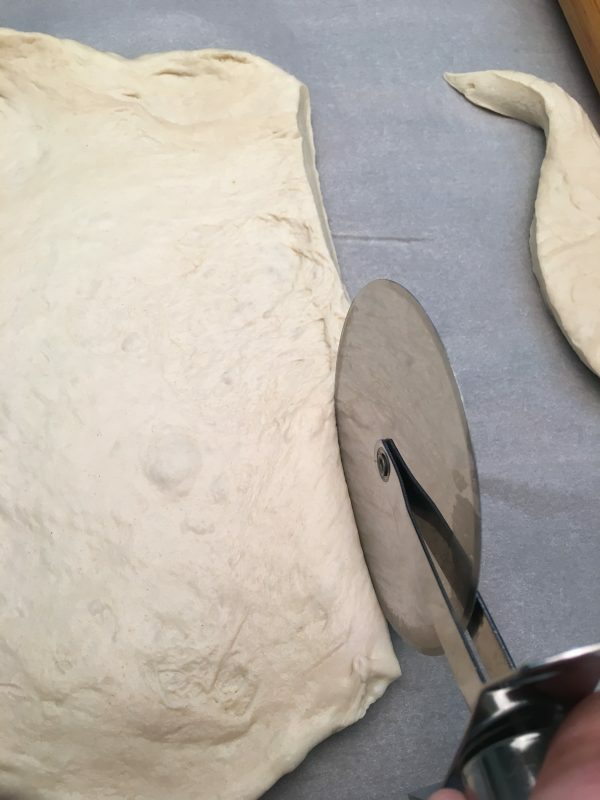 Bake at 350-degrees for 10-15 minutes or until dough is baked. (For variety, you can brush melted butter with herbs onto the dough). 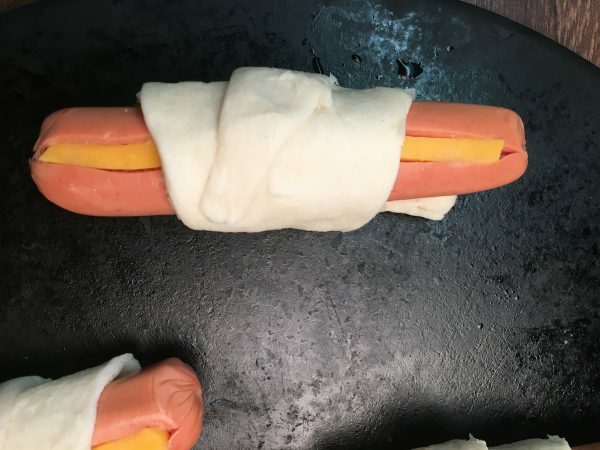 Create a slit down the hot dog, without cutting all of the way through. 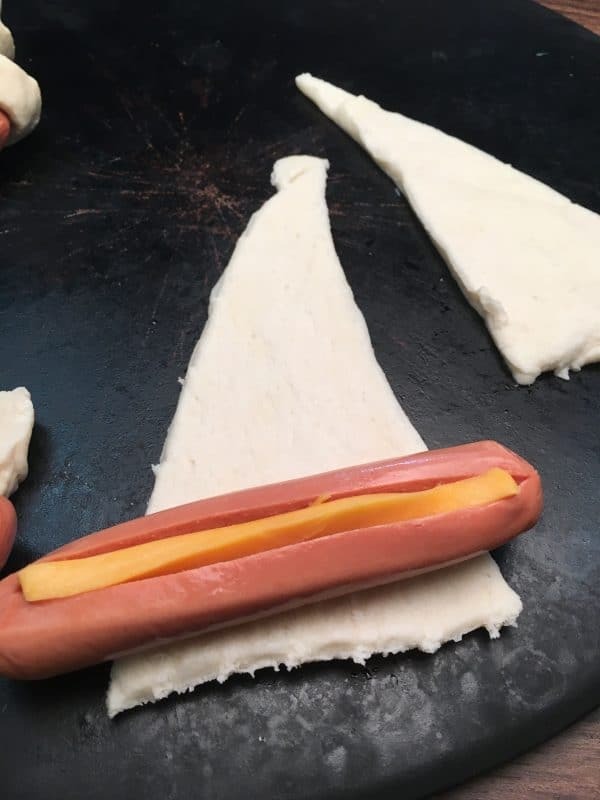 Place 1/4 of the cheese stick down the center of the hot dog. 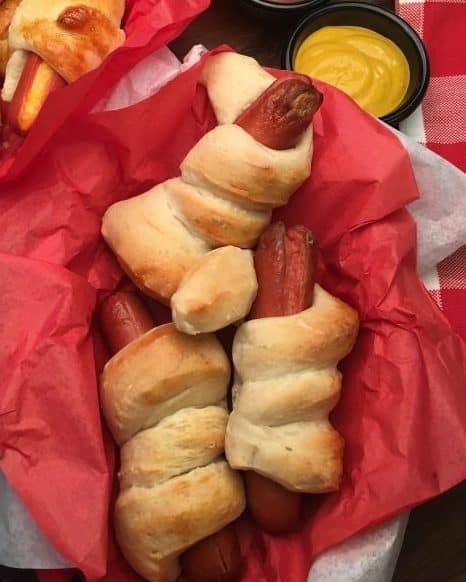 Roll up hot dog in each crescent roll. Brush each crescent roll with egg whites. Bake at 350-degrees for 10-15 minutes or until crescent rolls are golden brown and cheese is melted. 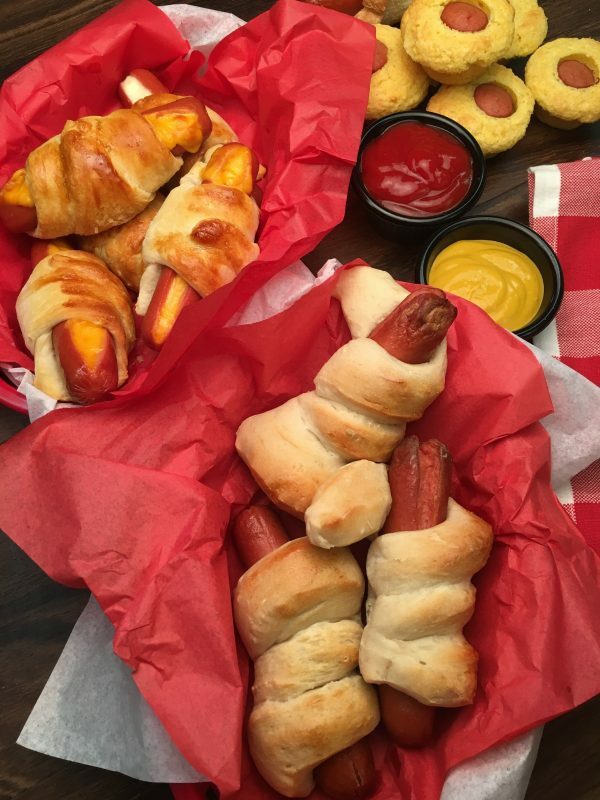 5 Hot Dog Recipes for Parties can be a fun, delicious, and budget-friendly way to feed a crowd. 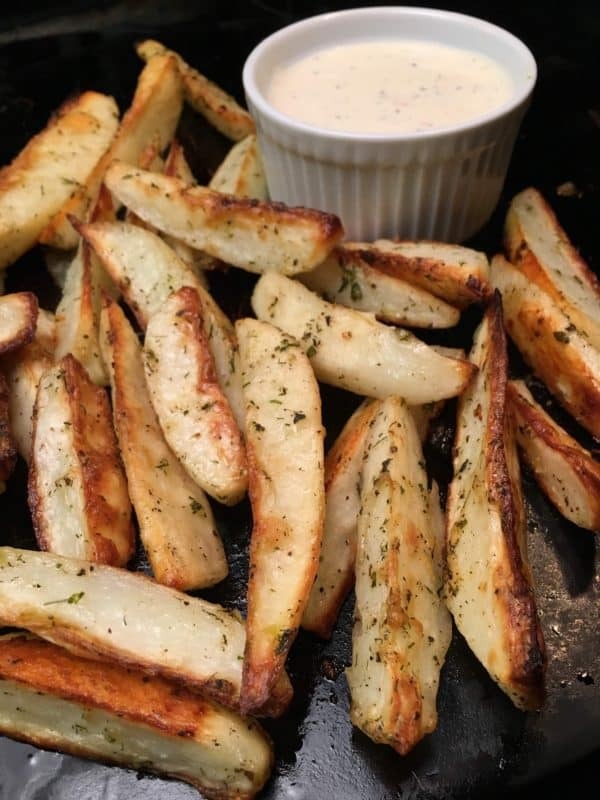 This recipe goes a long way and will make quite a bit. 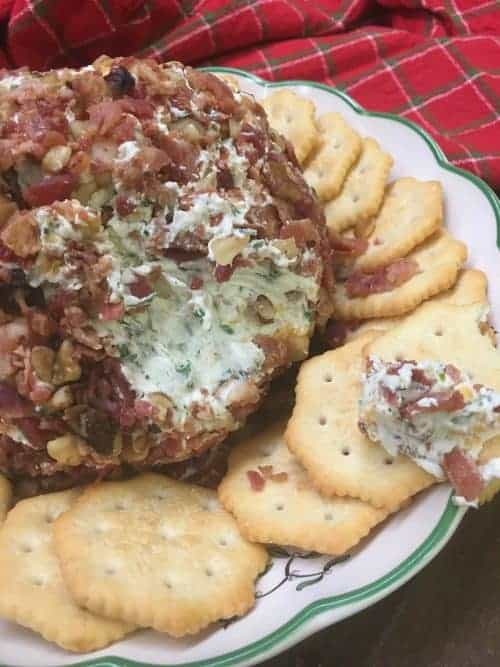 It’s filling, budget-friendly, and perfect for your next party. 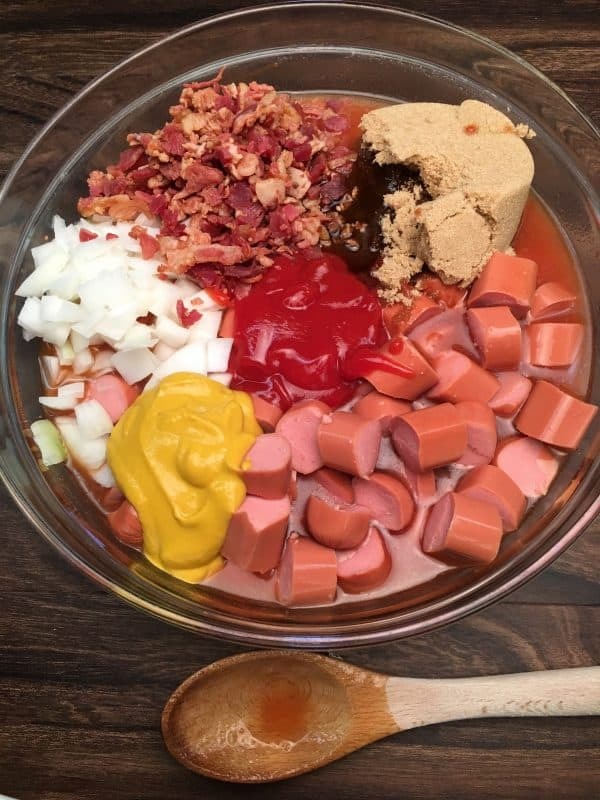 Add everything to a bowl and mix together. Pour into 9″ x 13″ casserole dish. Bake at 350-degrees for 1-1/2 to 2 hours.